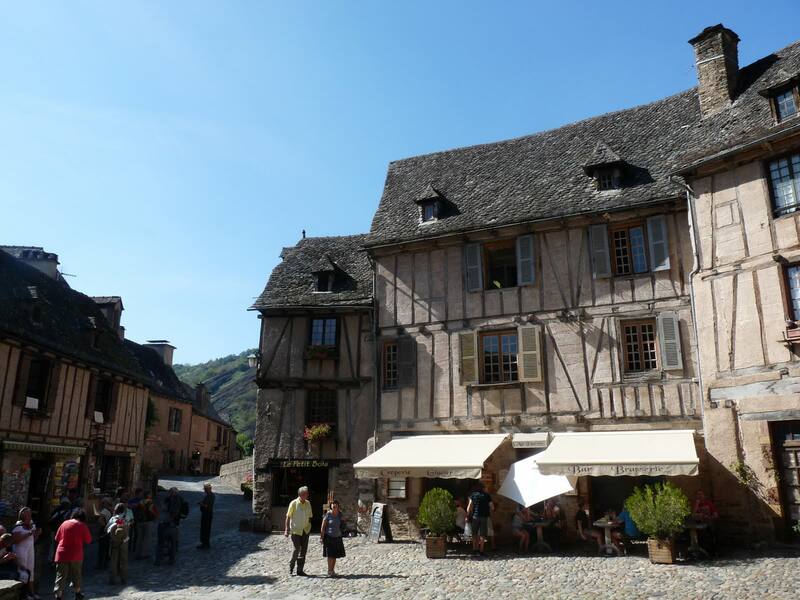 France wouldn’t be itself without its villages and Conques is one of the most beautiful villages in southern France. 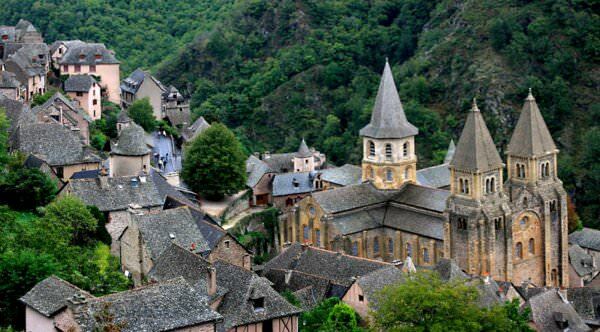 Located at the nexus of Dourdou and Ouche rivers, Conques is a landmark of narrow medieval streets built on a hillside. Break the routine driving around in a car and stroll through Medieval times, since the village cannot be approached by vehicles. Sink into the art, sculptures and untouched beautiful remains of history in today’s world. Protected on all sides, the beauty of Conques seems frozen in time. 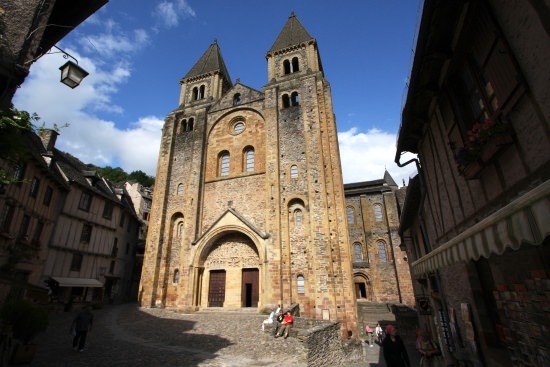 Conques, pronounced conk and named after the shell shaped land, boasts of the St Foy abbey-church and many monuments of architectural and cultural heritage. It is the only intact medieval shrine enroute a pilgrimage to Santiago de Compostela which is a city in Spain. Take a break from modern hectic life and take a walk into history. 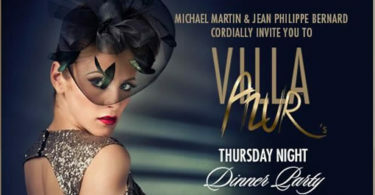 Indulge and let yourself be taken into a different world full of peace and serenity. 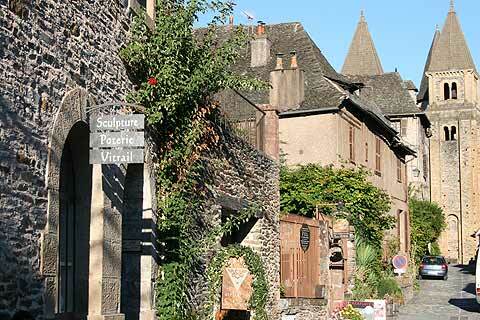 Although tiny, the village of Conques is extremely picturesque and peaceful. The Rough Guide to France calls it “one of the greatest villages in southwest France” and the abbey of St Foy has been named as a World Heritage Site by UNESCO. The standing walls and gates of this village will take you back to medieval times. The housing architecture of the Middle Ages marks the sides of cobbled lanes that capture the essence of history. 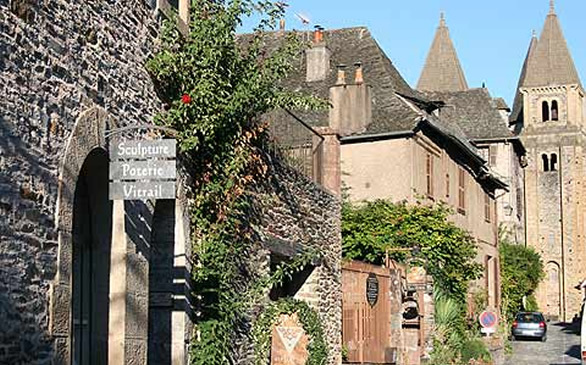 Thanks to the small number of people that have lived and taken care of the village for years now, the serenity and rustic look of Conques has been retained. So much so that, all modern utility lines are buried in the ground in this spirit of keeping the medieval look. 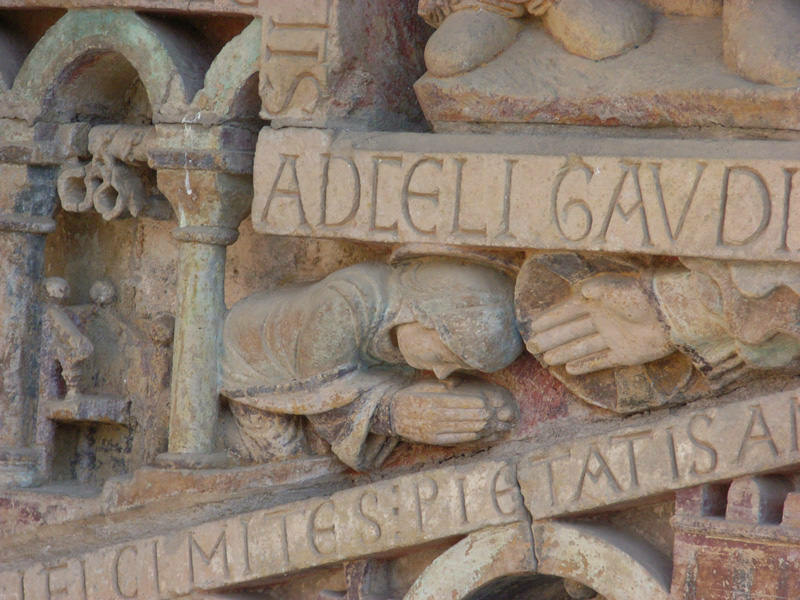 The St Foy abbey church is a shrine to the saint who was a virgin martyr known for her ability to cure blindness and free captive. 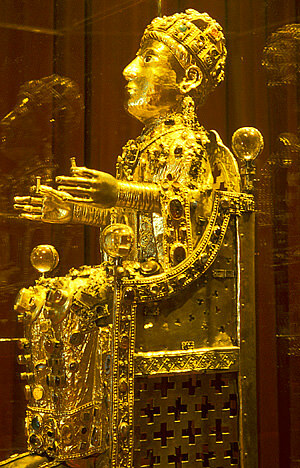 The saint’s mortal remains were placed inside a golden relic statue which adorns the church to date. The church also holds a unique treasure of Roman sculptures and artifacts. 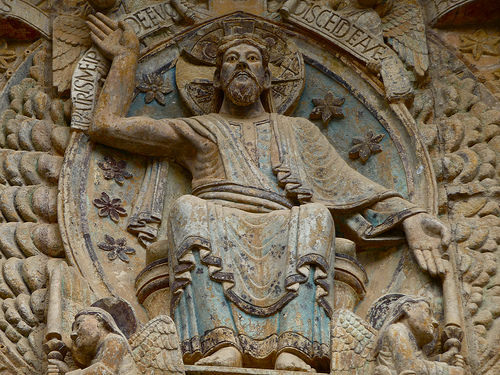 The Tympanum of the Church will have your unsurpassed attention with its Romanesque carving that depicts the Last Judgement. The depiction is breathtaking, full of expression and detail and some of the original paint on the figures can still be seen. These figures include contemporary historical personalities including abbots, bishops and kings with Latin inscriptions weaving through them. The only modern addition in the church is a stained-glass window of the only saint to live at the monastery, St. George of Conques, a simple monk renowned for his holiness.